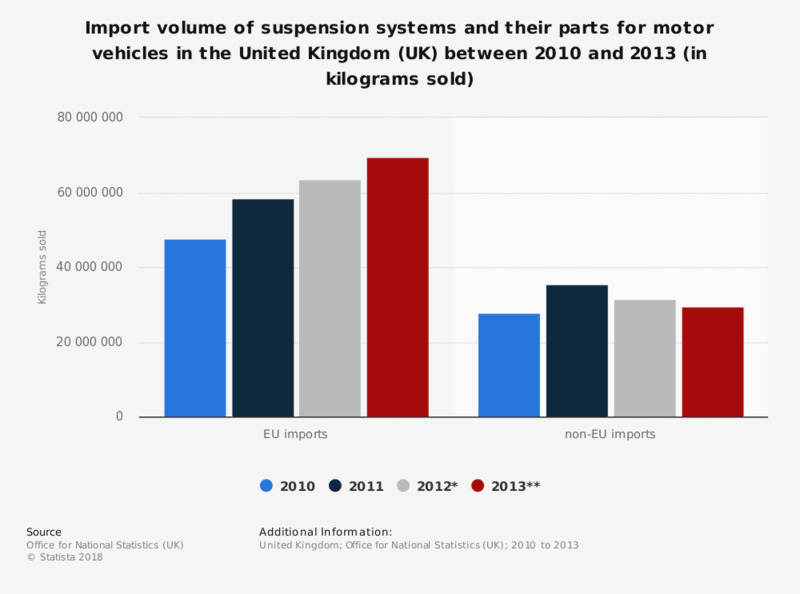 This statistic shows the volume of EU and non-EU imports of suspension systems and their parts for motor vehicles in the United Kingdom between 2010 and 2013. The EU was clearly an important trade partner for the United Kingdom over this period. EU imports of motor vehicle suspension systems reached a volume of 69.5 million kilograms in 2013. Suspension systems and their parts for motor vehicles, including shock absorbers.